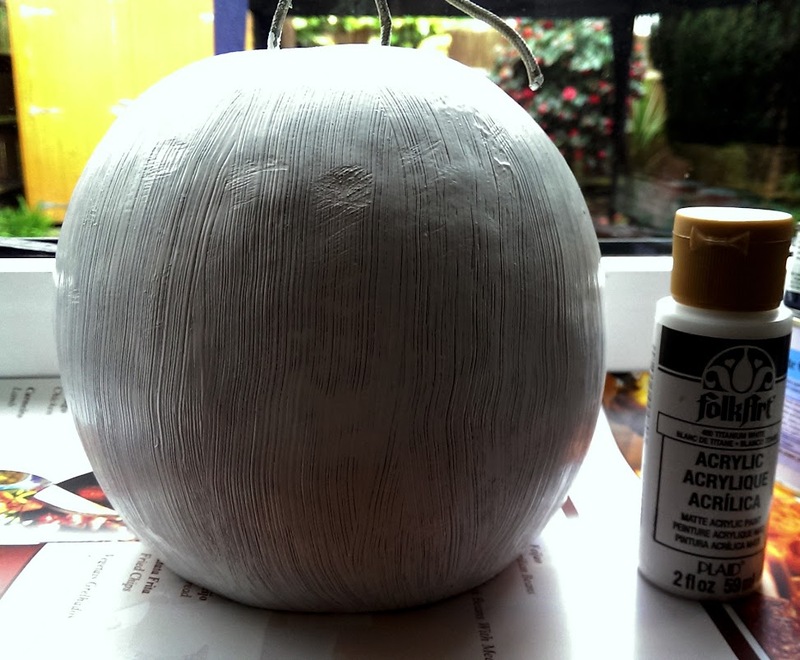 A couple of weeks ago Mestre mentioned that if anyone wanted to take berimbaus home to paint, they could. He’s always saying that all the instruments belong to us and now we can paint them. I used to take my own berimbaus in for music class, but stopped in the last few weeks, not only so I can practice other instruments, but also so I can play different berimbaus. 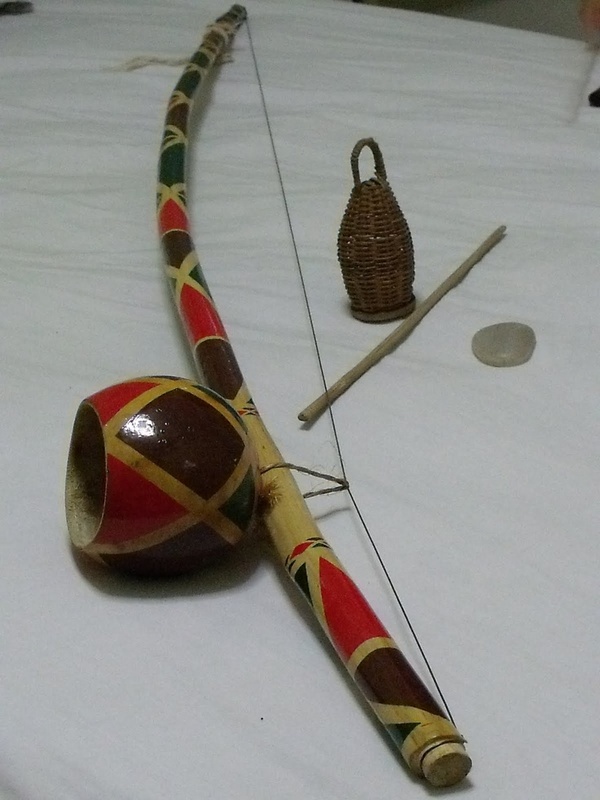 I decided to paint my own berimbau first, as a practice run… My very first berimbau, the heaviest, but also the one with the best sound. 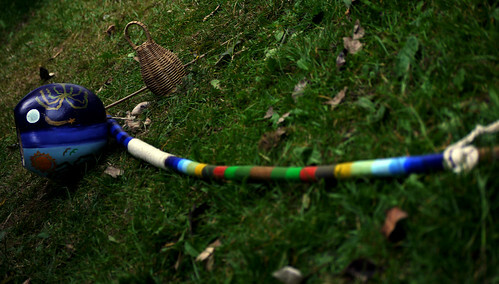 The one I use to practice at home, to build up strength on my hand muscles. 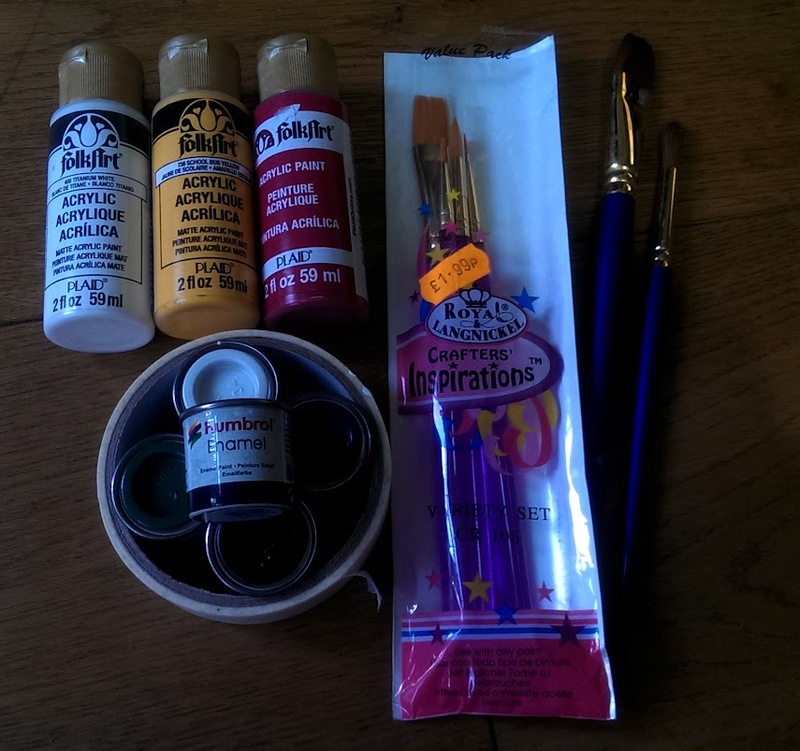 Firstly I went to a crafts shop and got acrylic and enamel paint and brushes. 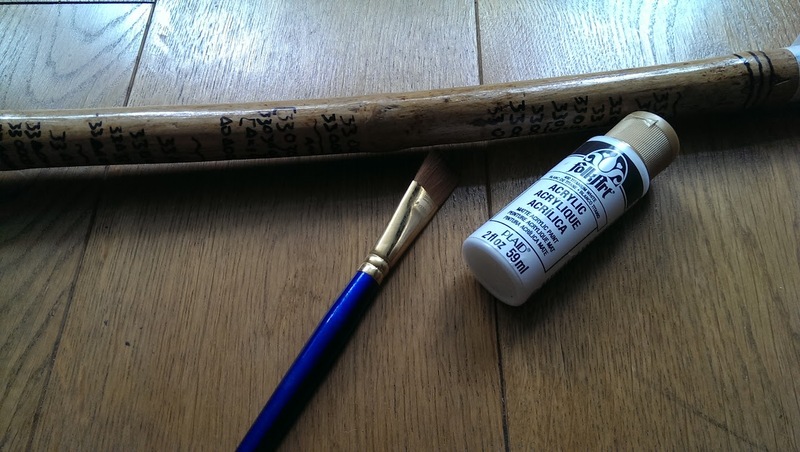 At home I already had masking tape and clear varnish and some other brushes. Acrylic paint dries very quickly, I found! It says 1 hour on the bottle but it dried in about 30 minutes. Enamel takes an hour longer to be touch dry. 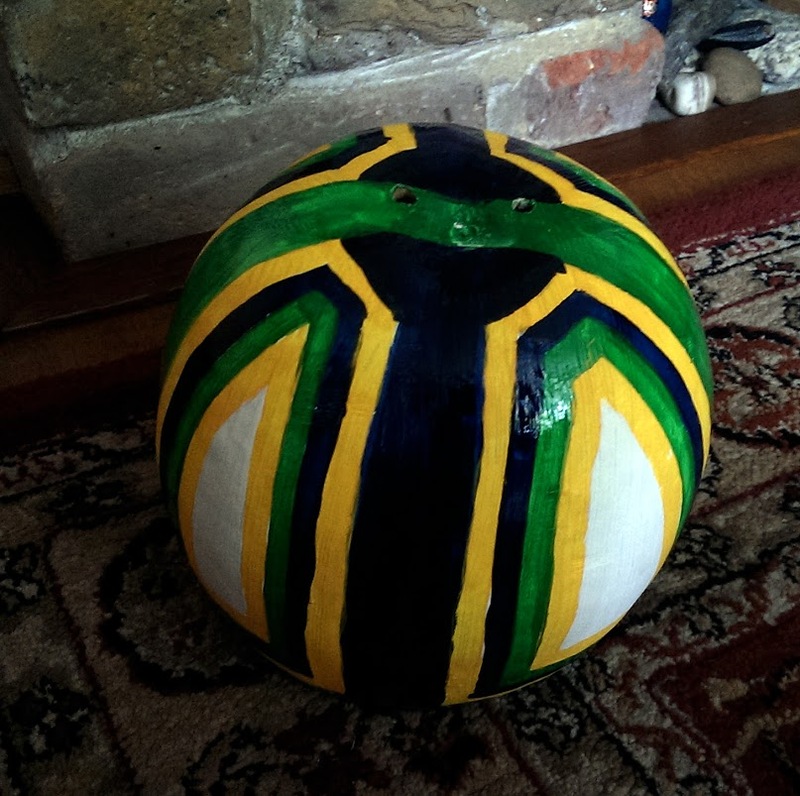 My very first painted cabaça! This whole process took about four hours. Varnish dries in 30 minutes. The next day I started painting the wood. Once again I did the white base first. 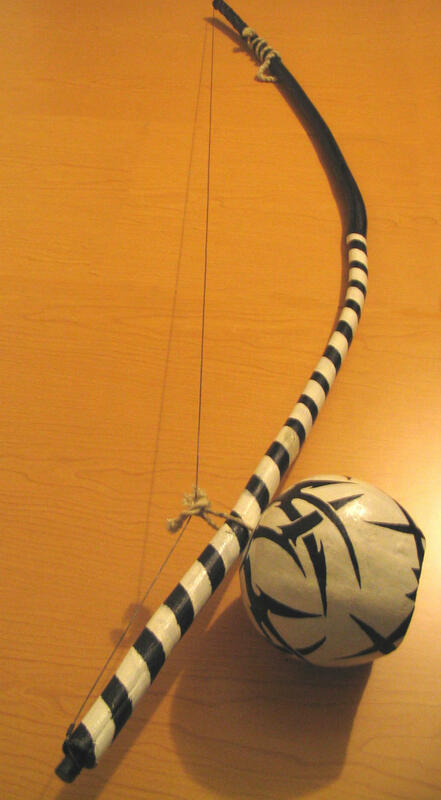 Because I had written the toques on this berimbau for music practice, it kept coming through the white paint, so it took a few coats. 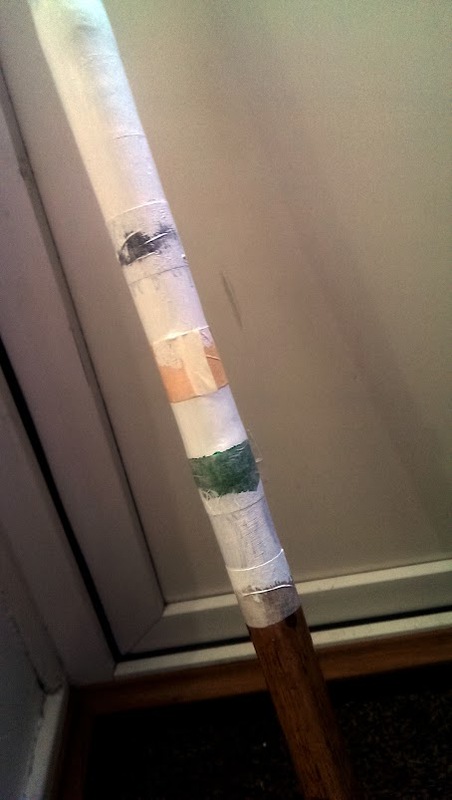 So once the white paint dried it was just a question of putting masking tape on and painting the Brazilian flag colours. 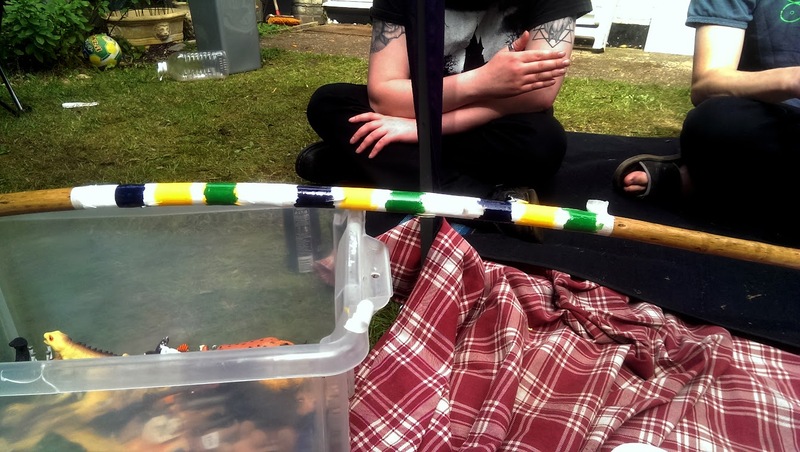 Bank Holiday weekend and my husband’s birthday: so I painted and socialised! Except: THE HORROR! All the dark colours had leaked into the white. I let the dark colours dry for a day, then put masking tape over the coloured stripes and painted a couple of coats of white over it. 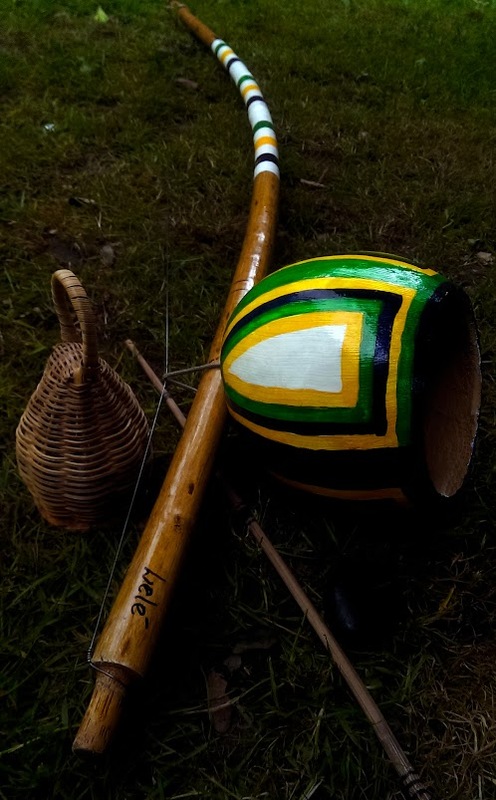 I concluded the biggest obstacle for painting the berimbau is my own artistic skill. I don’t really have a well developed arty gene – but some of the berimbaus I have seen are really quite amazing. 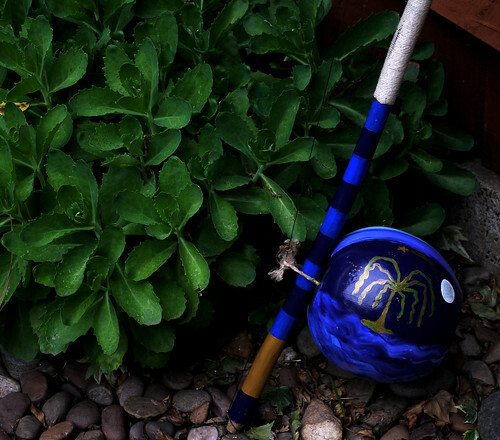 As long as you know the basics, then really, the berimbau is your oyster! 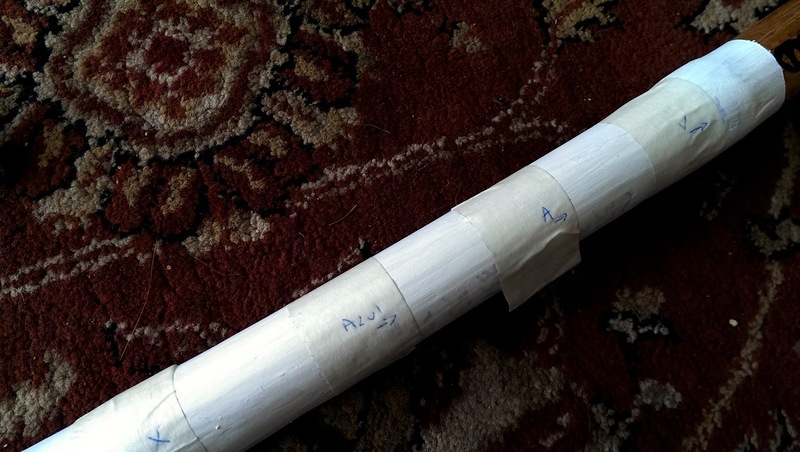 I really really enjoyed the whole process, so I’ll be painting my viola in the near future. All photos on Flickr or Google+. 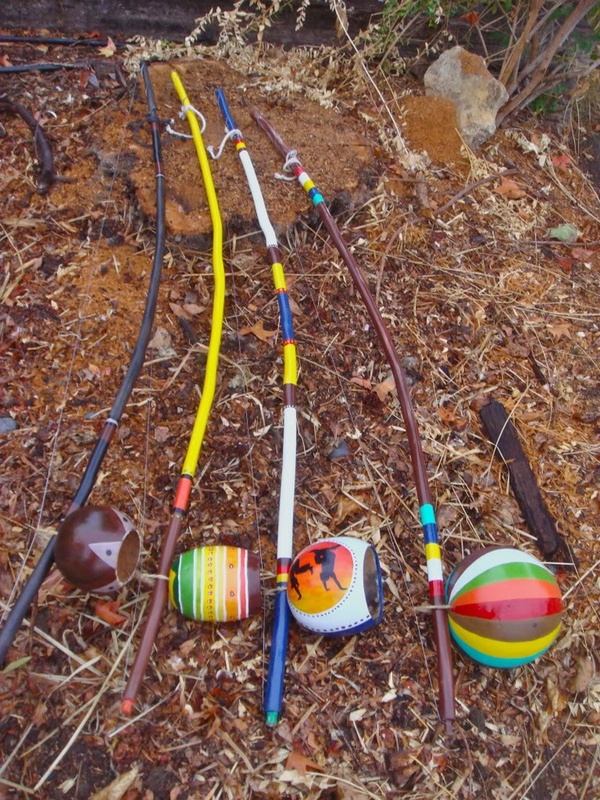 See also: How to fix a cracked berimbau.